We originally were looking at a pair of earrings with yellow and colorless diamonds together. They did not work quite right so we decided to make these into their own pair. I think that was a great decision because these are just stunning. The pear shape diamonds dangle 7/8 of an inch from beautiful colorless round brilliant diamonds. 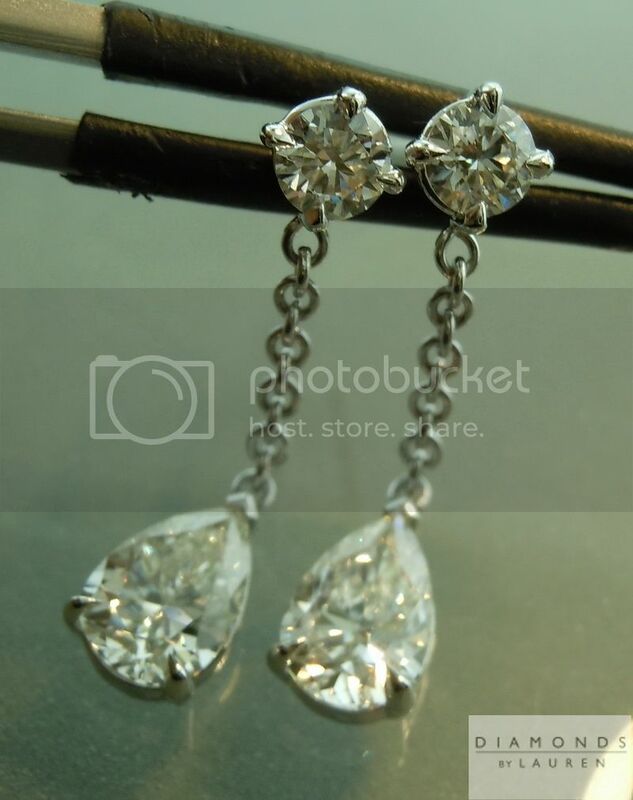 The earrings are well made - beautifully shaped prongs hold each stone into place. One of the pears and one of the round brilliants have medium blue fluorescence. We placed the medium blue stones separately - one on each of the earrings to add a special blue hue type of touch.